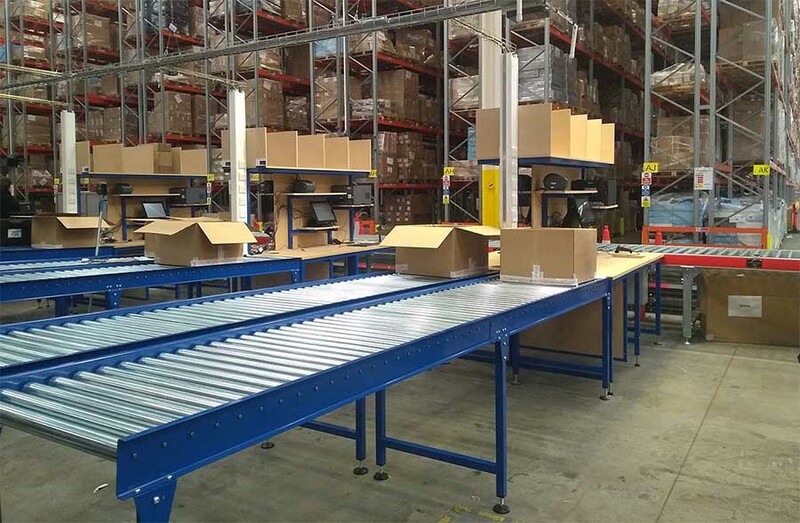 Large scale order e fulfillment, normally requires a flexible working environment. Which allows for workstations to be re purposed /changed over to suit packing and despatch to returned item processing. The need for enough space to process, without been to large to be efficient. Normally the integration of IT systems, to collate information from the processed items. Due to the nature of the pack or returns process. It is required to be carried out thoroughly whilst also being efficient. Therefore other aids are often required to bring down processing time. This moves away from a base standard workbench to something more fit for purpose. Whether it is a grouped approach often used for larger more complex. Or a more Lean system requiring less movement from person processing. With a wide range of variables. A one fit incorrectly sized simple workbench will only show an intial cost saving and higher process cost – not a long term year on year return on invest received from a more company, process and application solution. To partner with a bespoke workstation manufacturer, who works with your business to ensure a solution is provided which will not only give long term productivity savings. The whole processing area look is generally improved, a pleasant working environment achieved. Working directly with a UK manufacturer. A bespoke solution. Which where required can include conveyors, weighing and other automation will not necessary be vastly expensive or time consuming.